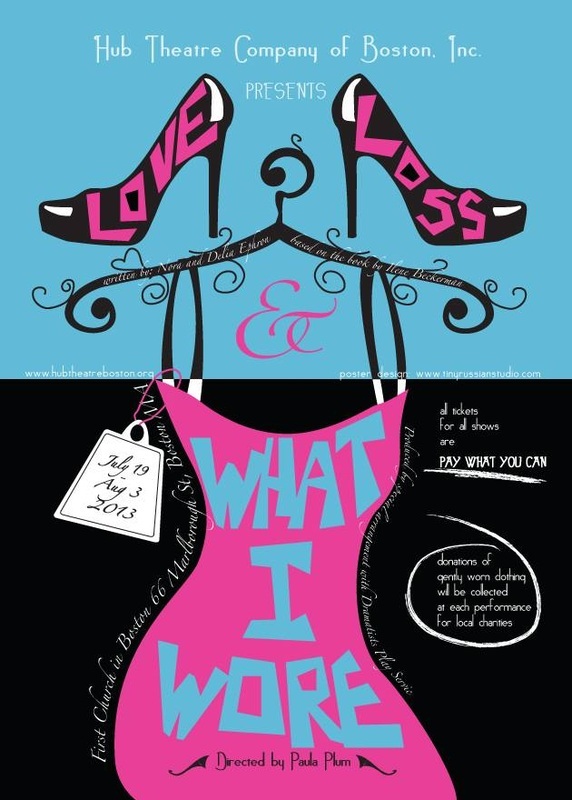 Proving that great entertainment never goes out of style, Hub Theatre Company of Boston, Inc., will continue its debut season with the Boston premier production of Love, Loss, and What I Wore by award-winning screenwriters and authors Nora and Delia Ephron (based on the book by Ilene Beckerman). Like a long heart-to-heart with your best friend, this intimate and engaging collection of stories meanders from musings over wedding-day attire to a rant about loathing the need to carry a purse and everything in between. With odes to first bras, cowboy boots, and outfits that made our mothers cringe, Love, Loss and What I Wore evokes funny memories and poignant stories about tyrannical dressing rooms, painful heels, comfy Birkenstocks and having to choose between the two! Five of Boston’s best dressed actresses will bring these stories to life. Three-time Elliot Norton Award winning and four-time IRNE award winning Boston-based actress Paula Plum will direct. At each performance we will be collecting gently-used ladies clothing for local charities.